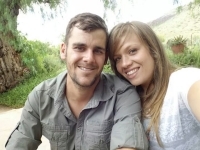 Adriaan Bruwer has won Free Accommodation 1 time! "Very glad and surprised, thank you Sleeping-OUT"
Guest Satisfaction Winner in Fourways for Best Value for Money and Overall Winner for Best Establishment in Fourways 2015 and 2018. Villa D’or Guest House offers high quality modern accommodation with the focus on comfort and entertainment. Villa D’or is known for its exceptional hygiene and cleanliness and its warm friendly atmosphere. 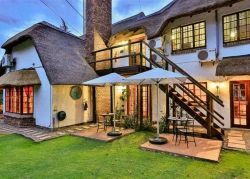 Our guests can enjoy: Full DSTV in each room Flat Screen TV in every room Free Wifi Private entrances to each room The Guest House is situated in the Upmarket and trendy Fourways, minutes away from all major shopping centres and Lanseria airport. Our landscaped garden with abundant bird life creates a country feeling despite our central location.